Round up of the weekend action at The O2. 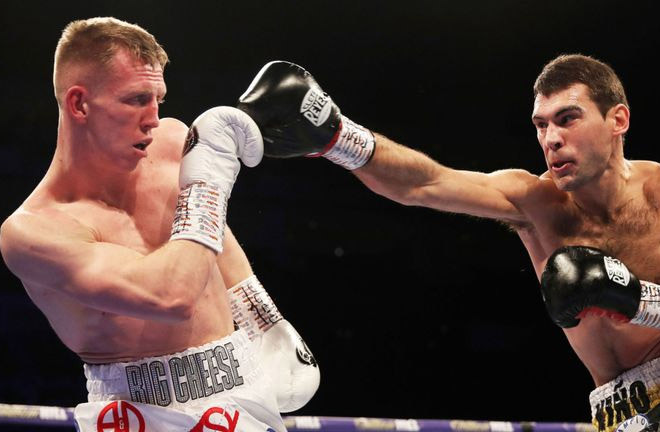 Sergio Garcia stepped out of the comfort of his usual Spanish surroundings, and impressively dominated the brave Bermondsey man, Ted Cheeseman at the O2 Arena to defend his European Super Welterweight Title for the first time. Not much was known of the 28-0 Spaniard before the contest, but fans certainly know who he is now, and he could now be considered in the mix at world level. Backed by a strong Spanish support, Garcia got to work almost immediately, using his fast hands to his advantage. The two took turns to attack in the opener, but Garcia looked comfortable, and dictated the pace. Cheeseman took way too many shots through the contest, with Garcia’s agility and footwork causing the British Champion multiple problems. Ted never stopped coming forward during the fight, but was largely outclassed by his opponent, and there was a case for his corner pulling him out such was the punishment being dished out. Cheeseman bravely made the final bell but the result was academic. 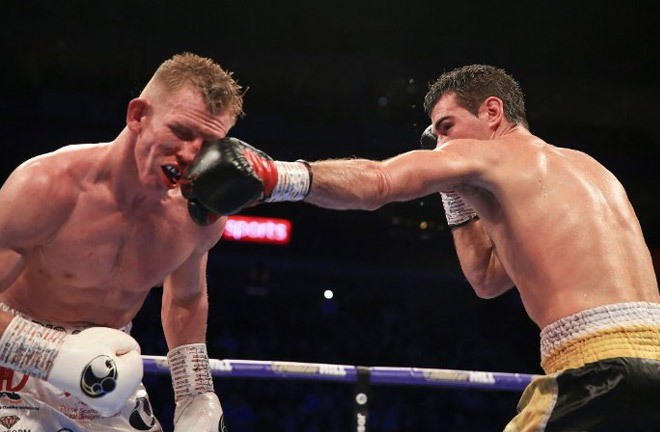 Two judges scored identical at 119-109, with the third, Massimilliano Bianco, somehow scoring the fight 115-114, an astonishing scorecard considering Garcia’s dominance. Garcia’s stock rises with this impressive win, while for Cheeseman, a return to domestic level is a must after suffering his first defeat. He remains British Champion, and a defence of the belt, after a long rest, is the likely next step. The undercard was a short affair, with only the main event going the distance. Craig “Spider” Richards put months of frustration behind him as he spectacularly settled his grudge with Jake Ball. The contest had been postponed multiple times previously, and Richards made Ball pay when they finally met in the ring. Ball simply couldn’t get going and was down at the end of the first round from a straight right hand. There was no time for the Crystal Palace man to follow up. Every time Richards landed power shots, he had Ball in trouble, and in the second, a right to the body put him down again. Again this was at the end of the round, with the bell rescuing “The Blade”. The writing was on the wall though, and another chopping right hand put Ball on the canvas in the third. This time, with plenty on the clock, Richards patiently finished the job. Three stiff right hands shook Ball up, and referee, Steve Gray, correctly stopped the fight. 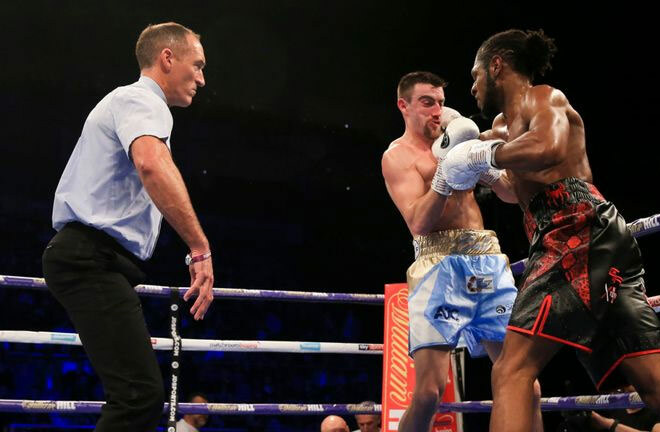 Richards takes Ball’s WBA Continental Title as a result, and promoter, Eddie Hearn talked of matching him with Hosea Burton for the vacant Commonwealth Title in the near future. The spate of short fights gave an opportunity for novice Heavyweight, Fabio Wardley to impress. The Ipswich man took less than a round to easily despatch Frenchman, Morgan Dessaux to move to 6-0. The Dillian Whyte managed prospect ended matters halfway through the first, with a right uppercut through the guard doing the trick. Dessaux failed to beat the count. 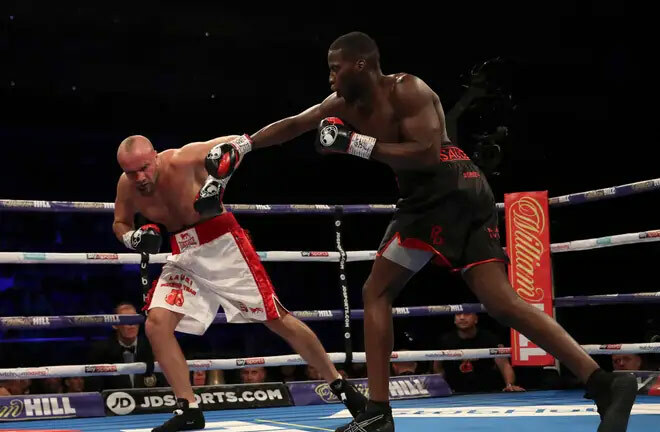 Laurence Okolie returned after his dour affair with Matty Askin, with a simple win over Tamas Lodi at Cruiserweight. Okolie was conservative to begin with, but soon knocked the Hungarian down with a lead left hook. Lodi survived the count, but was down again from a hard one-two, with only the bell saving him from defeat. Defeat was inevitable though, and the same one-two again put Lodi on the floor at the start of the second round. Again Lodi beat the count, but a glancing right to the chin put him down for the fourth time, with referee, Howard Foster this time seeing enough. This set the scene for an announcement of a show at the Copperbox Arena on Saturday 23rd March, where Okolie will defend his British and WBA Continental Titles against Commonwealth Champion, Wadi Camacho. The show will be topped by new WBC Flyweight Champion, Charlie Edwards, who will make his first defence against Angel Moreno. The vacant British Light Heavyweight title will also be on the line on the card, with precocious talent, Joshua Buatsi meeting Liam Conroy. Felix Cash easily bagged the Commonwealth Middleweight Title in the live show opener, with a no nonsense first round stoppage win over the hapless Nigerian, Rasheed Abolaji. Cash started off well off the jab, and put Abolaji on the floor hallway through the round with a stiff left jab. He beat the count, but it didn’t take the Reading man long to finish the job. A hard left-right combination froze Abolaji’s legs, and he then went down from a follow up barrage. He beat the count, but his unsteady legs gave referee Marcus McDonnell no choice but to wave the fight off.